We think food…and so does our software. Our food ERP solution, together with our modular software, enables our customers to run their perishable food businesses as efficiently as possible, increase profitability and exceed their customer expectations. For more than 26 years, we have built up an enviable reputation for our world-class food ERP and MES, shop-floor data capture, production planning and sector-specific modular software. We offer food software solutions. How can we help you? SI’s food ERP delivers “one version of the truth” enterprise-wide, to solve your operational challenges and support profitable growth. Centralised real-time information provides everything from planning, scheduling, MES and full traceability, and seamless integration with 3rd party software. SI’s real-time planning and scheduling software provides visibility at all points about the status of orders and production and delivers “One version of the truth”. 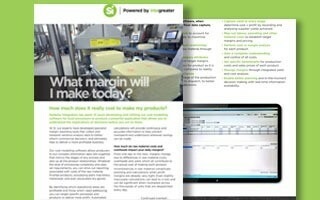 Build your daily plan in minutes, control multi-stage processes and uncover ways to drive more profitable margins. We’ve been perfecting our MES for more than 26 years. Uses integrated real-time shop floor data capture to gather and process information at every stage of production - from intake to finished goods and delivery, and across all operational processes. SI's QA and traceability software excels at shop floor quality assurance and control within food production. Gain a real-time view of what’s being done, what can be improved upon and, with SI’s digitalised traceability, always be audit ready. From abattoirs, meat & poultry processors and catering services, through to cheese makers, bakeries, fish & seafood, fresh produce and recipe managed food, we’re renowned for our sector specific software that’s designed for the way our customers’ businesses work. We understand the intricacies of abattoir management and our software has been specifically developed for this challenging operational environment. Our abattoir software manages every stage of a slaughterhouse’s operations. We've taken all the complexity and put it into the software to make your abattoir processes more efficient and profitable. We are renowned for our in-depth knowledge of how the meat processing industry works and understand the intricacies of forecasting, cutting and boning, production and always meeting customer expectations. We provide solutions to meet your challenges, whether it’s finding ways to reduce hanging stock and freezer costs, or reducing the opportunity to have to downgrade meat. From managing boxes of primals, carcasses or factored goods through to proof of delivery against sales orders, SI’s food processing software with its in-built flexibility, supports catering butchers and food service companies across the UK. When high product proliferation and thousands of orders are the challenges that your business faces each day, our Integreater software suite will provide you with everything you need to manage your processes. Monitoring cheese recipe make, maturation, grading and stock control, through to the blocks of cheese being processed for retail pack, monitoring yield and giveaway, and finally distribution. We’ve invested our know-how and developed our suite of specialist software modules to manage and add value to every one of your processes. We are committed to the poultry processing industry and to producing world-class solutions to match the sector's needs. We continually invest in our product development and expert knowledge, and are always looking for ways to deliver operational improvements across poultry kill, portioning, retail pack and value-added products. From catch to consumer, SI’s fish and seafood processing software will help your business thrive, whatever your challenges may be. We work with many of the UK's leading seafood and fish processing companies to deliver real-time control across their raw material, processing, WIP, retail pack operations. With our specialist software in place, Fresh produce companies and handlers can seamlessly control their primary and secondary processing, from delivery of from the field, right through to the final stages of production and despatch. Our Integreater software suite ensures the precise recording of every item's location, together with its current shelf life, across each and every process. Our software helps recipe management and ingredients control businesses map out all recipe managed products through cost modelling. So you can keep making products, even when not all ingredients are available. Complex supply chain management, multiple raw material formats, intake, silo and stock management, and complete recipe control – all are critical processes your business operations. For bakeries and cake manufacturers, we’ve applied our know-how to address the issues across stock control, recipe formulation, manufacturing processes, resource management and traceability. With multiple automatic processes involved in snack food manufacturing, every action must be accounted for – whether it’s prepping, chopping, frying, extruding, or additional flavour ingredients. With SI’s software managing all operational processes, production teams will have ‘one version of the truth’ delivering complete visibility, QA control and traceability throughout their operations. Our software also controls all tolerances and monitor giveaway in real-time, to provide the best opportunity to alter processes to maximise profitability. From managing dry or wet dog food on different lines, to combining data on multiple mix processes for bird feed. 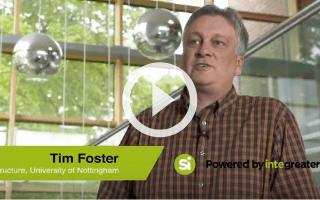 The pet food manufacturing sector is the latest segment of the industry to discover the benefits of SI's Integreater food processing software. What's the real cost to make my products?